Top this salad with cacao nibs to give it a little crunch and a lot of additional health benefits! Saute green onions, zucchini, carrot, bell pepper in grapeseed oil for 5 minutes. Add thyme. Add sliced beets and saute for another 2 minutes. Add balsamic vinegar to pan and cook for 1 minute. In large bowl, place spinach and grape tomatoes. 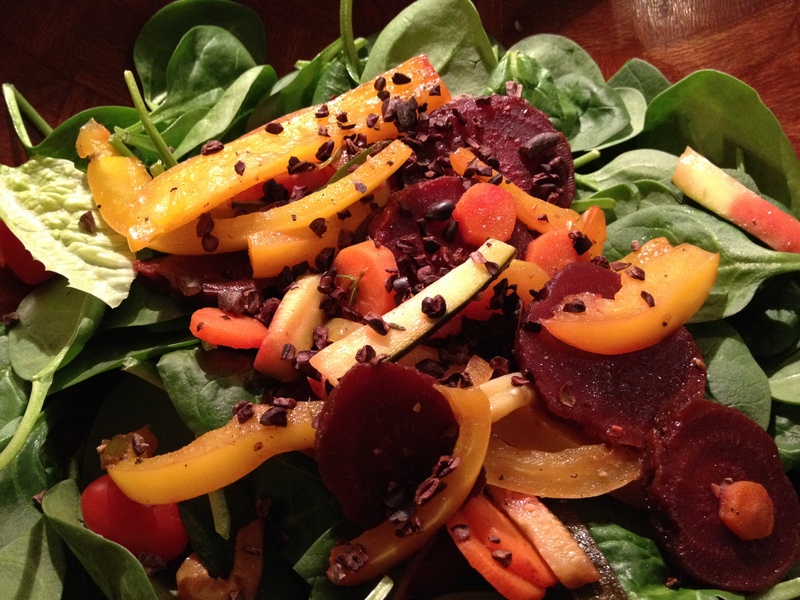 Top salad with cacao nibs. Toss with additional dressing, if desired.